I have now been twice. I liked it so much the first time that I couldn't wait to take my husband. 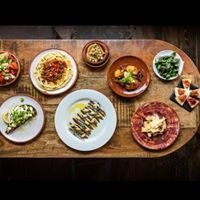 Tapas I feel can sometimes be a bit hit or miss, this place is a deffinate hit. The food is delicious and as a lover of gin, their gin selection is fantastic. Very buzzy in the evening and this time we enjoyed a laidback atmosphere over lunch. Thank you so much for accommodating our party on Saturday! We all had such a great time and the food was amazing! We will definitely be coming again, thanks! First visit, will definitely be returning. Great food, great service, cracking place. Gentleman behind the bar was particularly helpful. Food was amazing as always and my vegan needs well met. Excellent food and service, will be returning soon. The food was amazing! such good value, such friendly staff was just a amazing dining experience! What a way to spend a Sunday. Will certainly be booking again soon and also coming in for brunch! Staff really know their stuff. They seemed to enjoy their work and really make a difference. They put up decorations for me to save me coming in early which was such a load off my mind. Definitely going back very soon. 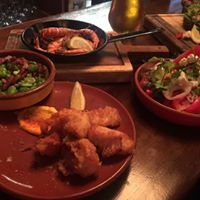 We real enjoyed our evening with you, the food was excellent and the staff were very attentive and polite - a thoroughly enjoyable evening. We will be back. Another wonderful evening with lovely friends. 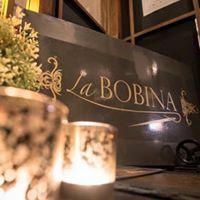 Attentive service and hospitality, amazing food, a wonderful selection of wines and gins.... it’s why we keep coming back to ‘La Bobina’! My 5 star rating says it all. 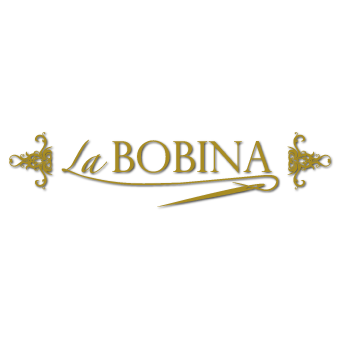 Can’t fault the crew at La Bobina. There were 7 of us on a girlie night out. It was our first time here but we will definitely be back. We had a brilliant night, fantastic food, fantastic atmosphere, it was buzzing. The staff were very friendly and helpful. For goodness sake fix the tables. They are all broken and wobbly. It’s a law suit waiting to happen. And make your booking more clear. We booked and when we arrived we were given a terrible table despite many more remaining empty the whole time we were there. Staff were great. I thought they made it worthwhile despite me being very grumpy at the hopeless booking system. Food. Excellent which is the main thing. You need a wider range of Spanish beers and don’t serve manzanilla in an English sherry glass. Be bold. Apart from that. Highly recommended. Our favourite place to bring our mum. Everything was perfect. 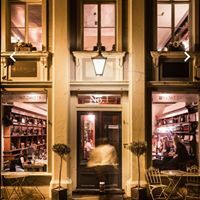 Great gin menu, lovely food and lovely house wine. Can’t wait to come and try the new breakfast menu! Great service and food once again, have lost count of how many times we have been but it’s excellent every time.